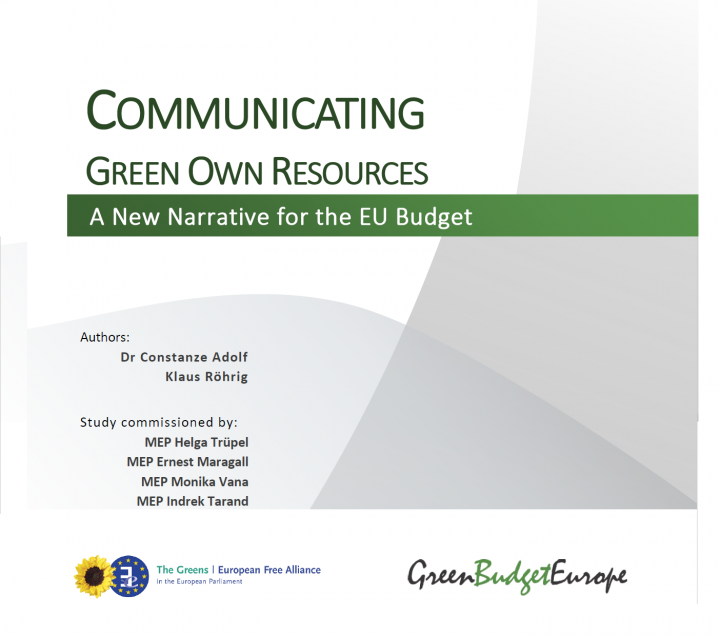 This study commissioned by Helga Trüpel, Ernest Maragall, Monika Vana and Indrek Tarand, members of the Greens/EFA in the European Parliament, examines sustainability-oriented means of financing the EU budget and provides a set of arguments in favour of specific green own resource candidates. The Paris Agreement and the adoption of the Sustainable Development Goals (SDGs) necessitate a paradigm shift in various social and economic areas. The EU budget with its EUR 143.5 billion volume is a key instrument in mobilising the investments needed for a successful transition towards a sustainable European economy. Green Own Resources could provide more coherence between the EU’s budgetary system and its long-term policy priorities by addressing existing economic, social and ecological sustainability gaps. 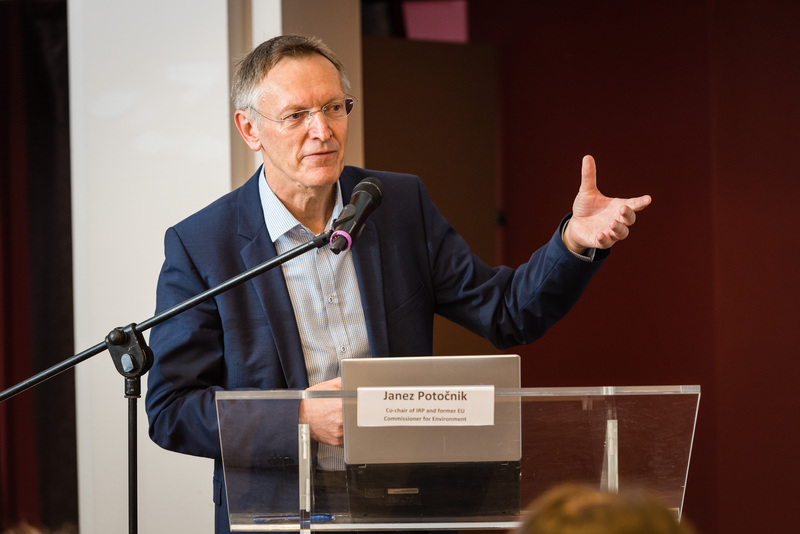 In spite of a wide pool of experience and evidence-based academic expertise on environmental taxation and tax shifts, European policymakers often face challenges communicating environmental taxes to crucial stakeholders. The study identifies four main communication barriers which proponents of Green Own Resources need to address. They relate to widespread contentions about environmental taxation among the electorate: (i) detrimental impact on competitiveness, (ii) regressive effect on social equity, (iii) trade-off between revenue stability and environmental effectiveness, and (iv) uncertainty about the respect of the subsidiarity principle. The current financing system of the EU budget has been repeatedly criticised for its opacity and its over-reliance on national contributions. In 2013, the European Parliament made its consent to the 2014-2020 multiannual financial framework (MFF) conditional on the reform of the EU’s own resource system and mandated an interinstitutional High-level group on own resources (HGLOR) chaired by Mario Monti with the task to draft concrete reform options. A meaningful reform of the EU budget needs to pay tribute to the EU’s overall agenda on achieving sustainable development as pledged in the Paris Agreement adopted in December 2015 and in the SDGs endorsed in September 2015. See also first Own Resource Study “Green taxes as a means of financing the EU budget: policy options” (July 2016). See also “Solidarity and Strength: the Future of the EU” – a paper by the Heinrich Böll Foundation in collaboration with GBE AdCom-Vice Chair Kai Schlegelmilch. See also Fatica, S. & Mourre, G. (2016). 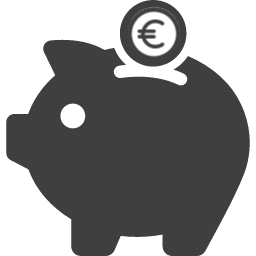 “Own resources for the EU budget: An analytical exploration of possible tax revenue instruments“. Publication of the European Commission Joint Research Centre. Euractiv (2016). Greens pre-empt Monti group report with alternative paper. Article by Georgi Gotev published on 6 December 2016. Agence Europe (2016). Time for new “green” own resource, say Greens at European Parliament. Article by Lionel Changeur published on 7 December 2016. FairTax Vienna conference “Options for an EU Tax as an EU Own Resource” on 19 September 2016.